Confession - I completely do not understand the Elf on the Shelf thing. Here's what I see: A lot of families (mostly moms) competing to see who can be the most creative in getting their elf into mischief. From what I understand, the elf visits a family for a few weeks leading up to Christmas, supposedly going back to the North Pole each night to report on the behavior of the small people. Every morning, the small people get to see the mischief that the elf got into overnight at their house. This is where I have the most confusion - if the elf is reporting on the behavior of the child, what message does it send when the elf itself seems to have behavior issues? 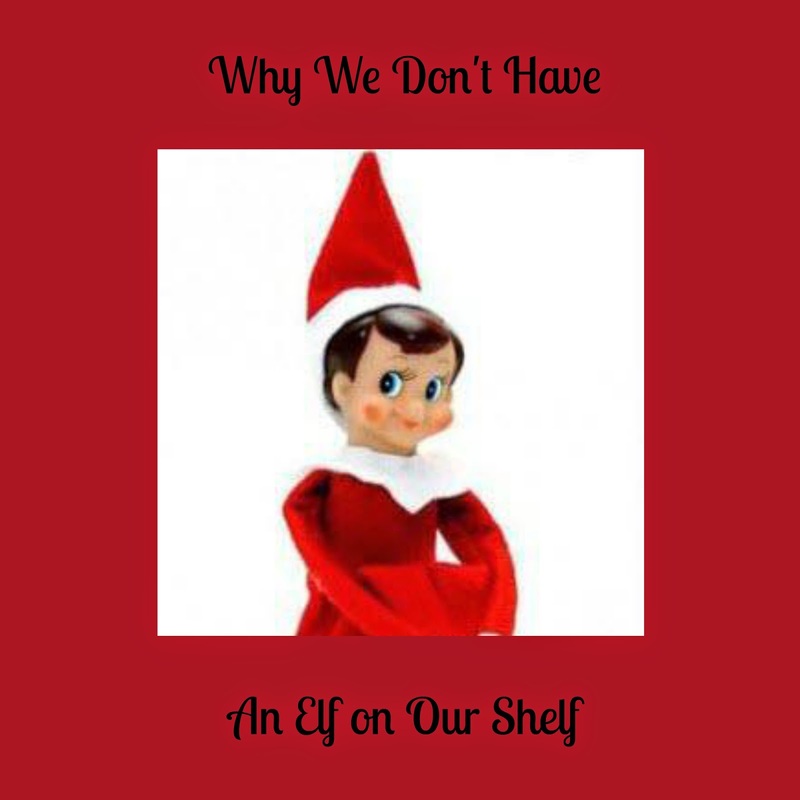 Here's another reason why we don't have an elf on our shelf: When the hubby and I first got married, we decided not to do Santa with our children. We wanted to have the focus of Christmas be on Jesus' birth. I've taught the small people about who St. Nicholas really was and how he relates to Christmas, but they know that their gifts come from the hubby and me. With no Santa, there is no reason for having an elf. I will admit that trying to be creative with the elf's antics does look like a lot of fun; I've seen some really cute ideas on Pinterest and in my friends' Facebook pictures. Do you have an Elf on your shelf?